Jablonski, Edward. Outraged Skies... War in the Air over the Pacific. Airwar: Volume III. Garden City. Doubleday and Co. 1972. 147 pps. 4to. Hardcover. First edition. Illustrated. Fine copy in worn dust jacket (in mylar). Jablonski, Edward. Terror From the Sky... The Luftwaffe's Winged Assault on Europe. Airwar: Volume I. Garden City. Doubleday and Co. 1972. 175 pps. 4to. Hardcover. First edition. Illustrated. Fine copy in near fine dust jacket (in mylar). Jablonski, Edward. Terror From the Sky... The Luftwaffe's Winged Assault on Europe. Airwar: Volume I. Garden City. Doubleday and Co. 1972. 175 pps. 4to. Hardcover. First edition. Illustrated. Fine copy in near fine (light shelf wear) dust jacket (in mylar). Jablonski, Edward. Tragic Victories.... From Pearl Harbor to the Allied Assault on Occupied Europe. Airwar: Volume II. Garden City. Doubleday and Co. 1972. 207 pps. 4to. Hardcover. First edition. Illustrated. Fine copy in near fine dust jacket (in mylar). Jablonski, Edward. Tragic Victories.... From Pearl Harbor to the Allied Assault on Occupied Europe. Airwar: Volume II. Garden City. Doubleday and Co. 1972. 207 pps. 4to. Hardcover. Reprint. Illustrated. Fine copy in near fine (light shelf wear) dust jacket (in mylar). Jablonski, Edward. Wings of Fire... The Victorious Climax of the Airwar. Airwar: Volume IV. Garden City. Doubleday and Co. 1972. 243 pps. 4to. Hardcover. Reprint. Illustrated. Fine copy in very good (light shelf wear) dust jacket (in mylar). Jackson, Donald. Thomas Jefferson & the Stony Mountains. Exploring the West From Monticello. Norman. University of Oklahoma Press. 1993. Octavo. Soft cover. First edition. Illustrated. Fine copy (owner blind stamp). Jackson, Robert. 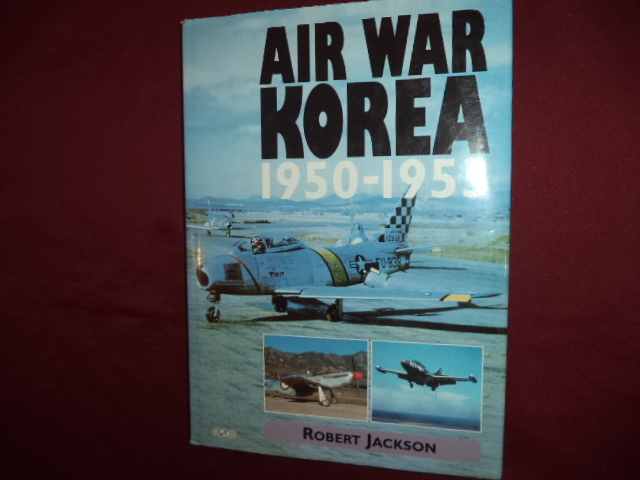 Air War Korea. 1950-1953. Photo available. Osceola. Motorbooks. 1998. 160 pps. 4to. Hardcover. First edition. Illustrated in black, white and color. Important reference work. Fine copy in fine dust jacket (in mylar). Jackson, Robert. 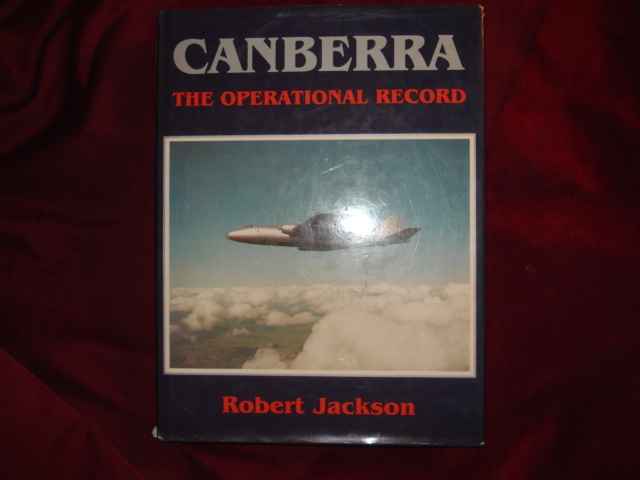 Canberra. The Operational Record. Photo available. Shrewsbury. Airlife Pub. 1998. Octavo. Hard cover. First edition. Illustrated. Fine copy in fine dust jacket (in mylar). Jackson, Robert. 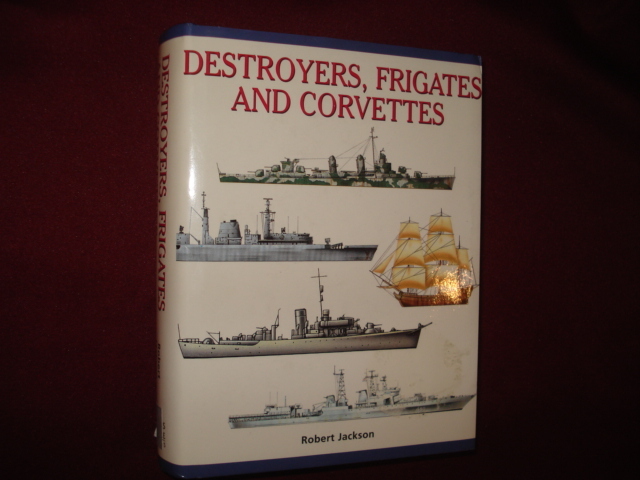 Destroyers, Frigates and Corvettes. Photo available. New York. Barnes & Noble. 2000. Octavo. Hard cover. First edition. Illustrated in black, white and color. Fine copy in fine dust jacket (in mylar). Jackson, Robert. Fighter Pilots of World War I. New York. St. Martin's Press. 1977. 158 pps. Octavo. Hardcover. First edition. Fine copy in near fine (light shelf wear) dust jacket (in mylar). Jackson, Robert. Fighter Pilots of World War I. New York. St. Martin's Press. 1977. 158 pps. Octavo. Hardcover. First edition. Illustrated. Fine copy in fine dust jacket (in mylar). Jackson, Robert. Fighter! 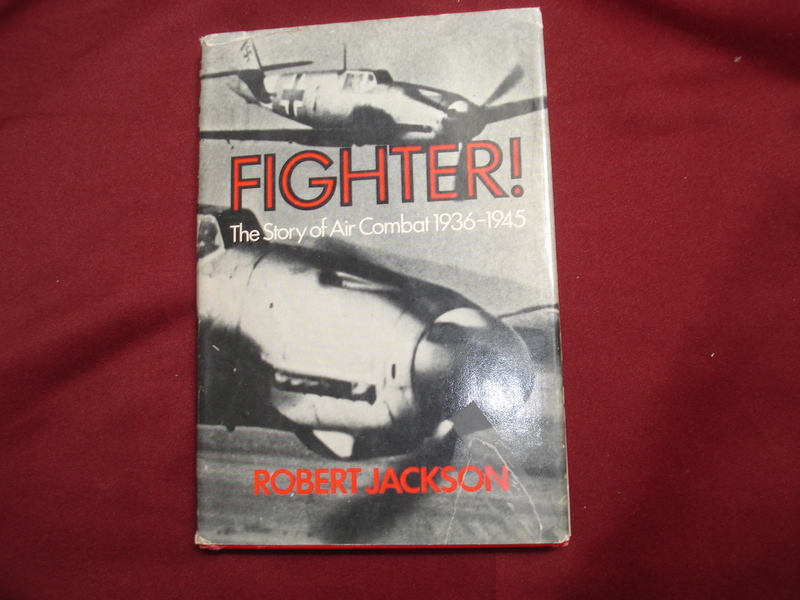 The Story of Air Combat. 1936 - 1945. Photo available. New York. St. Martins Press. 1979. 157 pps. Octavo. Hardcover. Reprint. Fine copy in near fine (very light shelf wear) dust jacket (in mylar). Jackson, Robert. 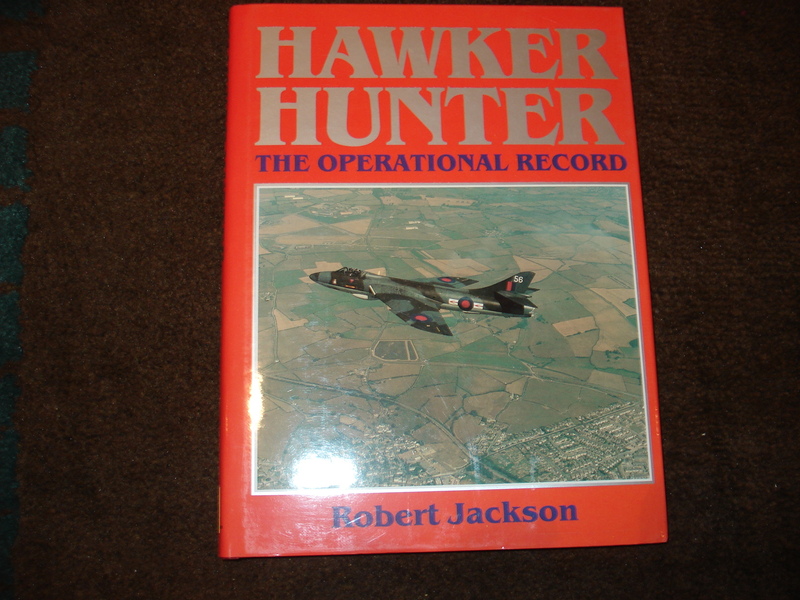 Hawker Hunter. The Operational Record. Photo available. Washington. Smithsonian. 1989. Octavo. Hard cover. First edition. Illustrated. Fine copy in fine dust jacket (in mylar). Jackson, Robert. Spitfire. 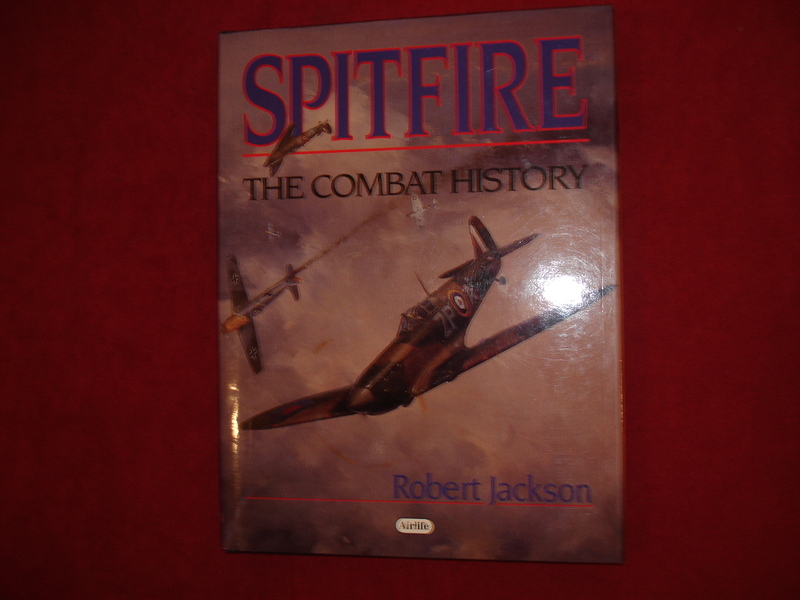 The Combat History. Photo available. Shrewsbury. Airlife. 1995. Octavo. Hard cover. First edition. Illustrated. Fine copy in fine dust jacket (in mylar). Jackson, W.G.F. The Battle for North Africa. 1940-43. Photo available. New York. Mason/Charter. 1975. 498 pps. Octavo. Hardcover. First edition. Illustrated. Maps. Fine copy. Jacobs, Benjamin. The Dentist of Auschitz. Signed by the author. A Memoir. Photo available. np. The University Press of Kentucky. 1995. Octavo. Hardcover. First edition. Illustrated. Signed by the author. Fine copy in fine dust jacket (in mylar). Jacobson, Doranne. 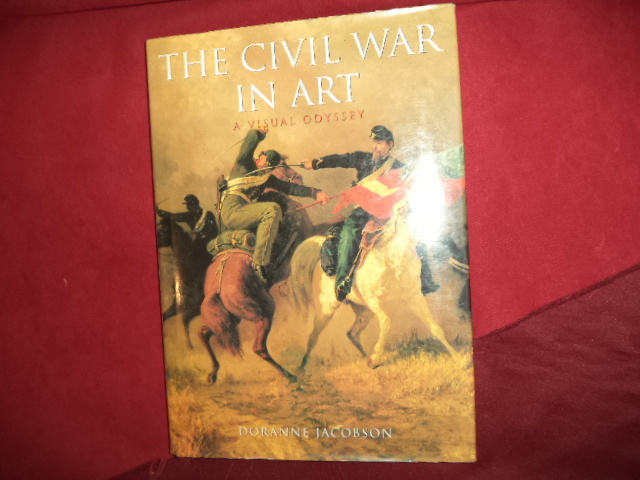 The Civil War in Art. A Visual Odyssey. Photo available. New York. Smithmark. 1996. 128 pps. 4to. Hardcover. First edition. Illustrated in black, white and color. Important reference work. Fine copy in fine dust jacket (in mylar). Jaffee, Capt. 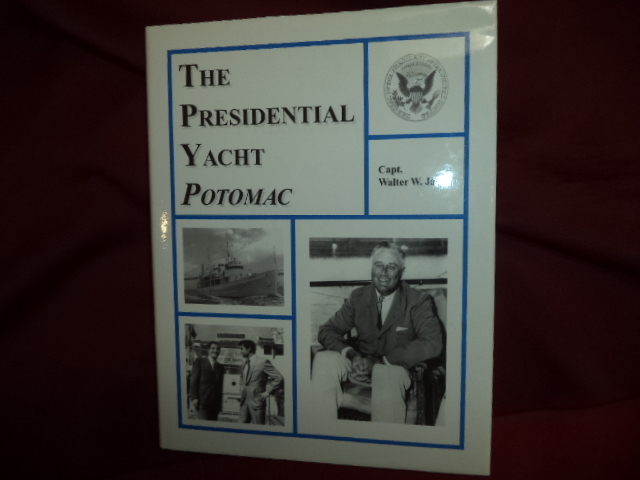 Walter W. The Presidential Yacht Potomac. Signed by the author. Photo available. Palo Alto. The Glencannon Press. 1998. 204 pps. 4to. Hardcover. First edition, second printing. Illustrated. Important reference work. Signed by the author. Fine copy in fine dust jacket (in mylar). Jamail, Dahr. Beyond the Green Zone. Dispatches from and Unembedded Journalist in Occupied Iraq. Chicago. Haymarket. 2007. Octavo. Hard cover. First edition. Illustrated. Fine copy in near fine (light shelf wear) dust jacket (in mylar). James, Colonel William (ed). Military Dermatology. Part III. Disease and the Environment. 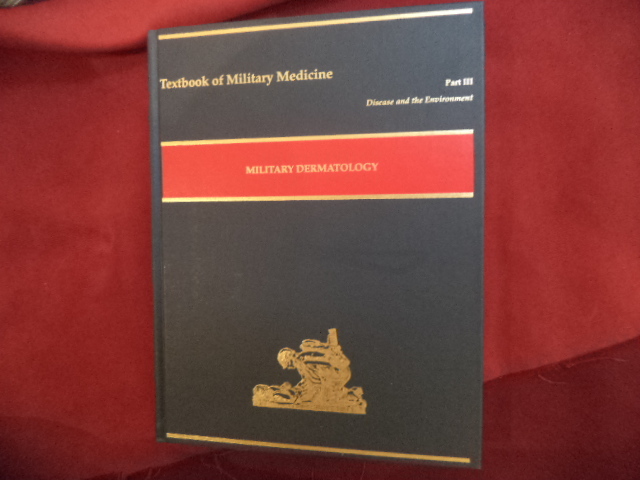 Textbooks of Military Medicine. Photo available. Washington. The Office of the Surgeon General. 1994. 617 pps. 4to. Gilt decorated hard cover. First edition. Illustrated in black, white and color. Important reference work. Fine copy. Jefferson, Thomas & Robert C. Baron (ed). 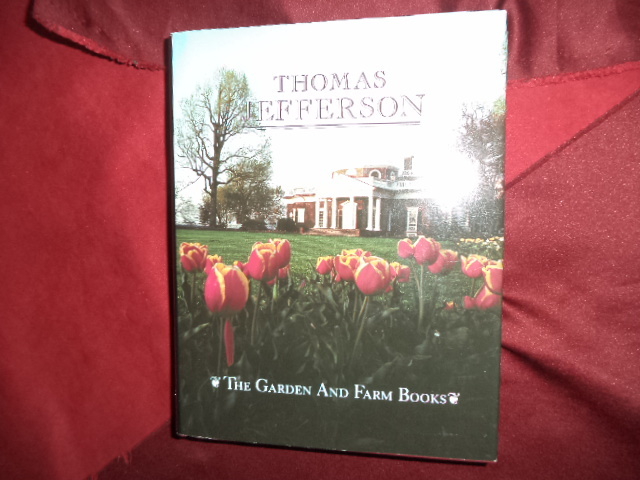 The Garden and Farm Books of Thomas Jefferson. Photo available. Golden. Fulcrum. 1987. 528 pps. 4to. Hardcover. Limited edition. Illustrated. Important reference work. Fine copy in fine dust jacket (in mylar). Jefferson, Thomas. Jefferson. Autobiography. Notes on the State of Virginia. Public and Private Papers, Addresses, Letters. Photo available. Des Moines. Library of America. 1984. Octavo. Hard cover. Stated first edition. Map in rear pocket. Fine copy in fine dust jacket (in mylar). Jeffreys-Jones, Rhodri. The CIA & American Democracy. New Haven. Yale University Press. 1989. Octavo. Hard cover. First edition. Fine copy in fine dust jacket (in mylar). 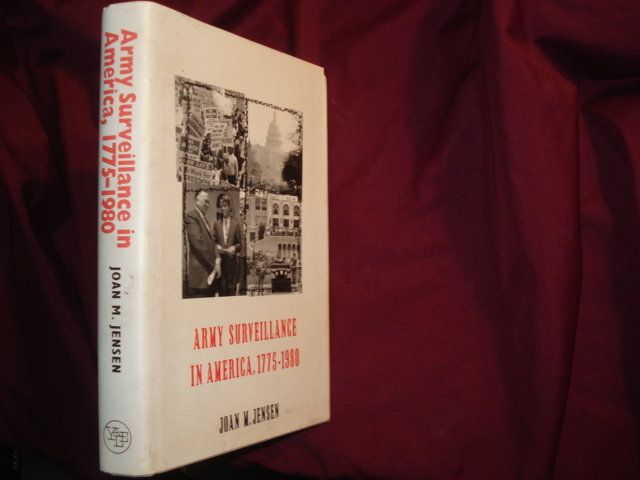 Jensen, Joan M. Army Surveillance in America, 1775-1980. Photo available. New Haven. Yale University Press. 1991. Octavo. Hard cover. First edition. Fine copy in fine dust jacket (in mylar).